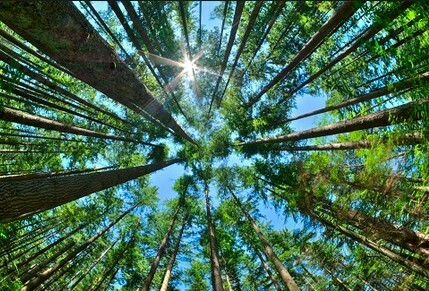 The rotation period of forests is long and trees will find it increasingly difficult to adjust to the swifter changes of climatic regimes (Solomon, 1986; Solomon & West, 1986). Actual impacts will depend upon the physiological adaptability of trees and their host-parasite relationships. Tree species close to their biological limits (in terms of temperature and moisture) will be most sensitive to climate change. Areas experiencing warmer, drier climates may also see an increase in the incidence of forest-fires (Frosberg, 1989). As well as the impact to forest ecology, climate change will also augment social stresses of forest-dependent populations, and consequent anthropogenic damages to forests can be expected. Such increased and non-sustainable forest use will put further pressure on forest investments, conservation and management (Winget, 1987).